Chronic unemployment. Financial illiteracy. Homelessness. In communities around the world, individuals and families are facing financial obstacles that prevent a good quality of life. We’re fighting to put every person, in every community, on a path toward financial empowerment. That starts with access to services, job training, credit counseling and money management programs. By mentoring youth through financial workshops, providing individuals with job-skills training and securing housing for struggling families, we are helping people get back on their feet. MyFreeTaxes provides free federal and state tax preparation and filing assistance for qualifying individuals and families. It is the first online initiative allowing free federal and state tax prep and filing in all 50 states and the District of Columbia. Since 2009, MyFreeTaxes and our Volunteer Income Tax Assistance (VITA) sites have helped millions of U.S. taxpayers save more than $10 billion. 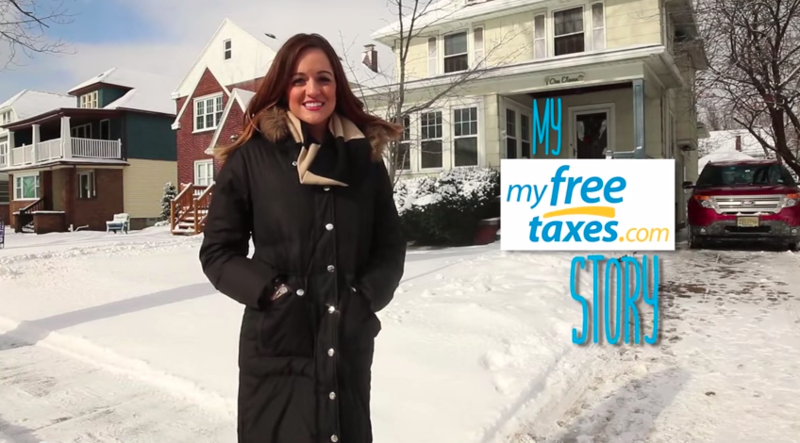 Individuals or families with a household income of $66,000 or less can prepare and file taxes for free on MyFreeTaxes.com. Only one in five people who qualify for the Earned Income Tax Credit (EITC) take advantage of it. Many do not even know they qualify. That’s why MyFreeTaxes promotes critical tax credits like the EITC and Child Credit. United Way of Massachusetts Bay and Merrimack Valley partnered with local non-profit Lawrence CommunityWorks to connect people with services ranging from financial education and coaching to career training and job search assistance, credit counseling, English as a Second Language (ESL), free tax preparation assistance, and more – all under one roof. Three out of four people who took advantage of services at the financial stability centers in Lawrence and nearby Chelsea, Massachusetts improved their credit score or net income. Since 2010, 25,881 people in the Boston area have gotten jobs and another 4,390 advanced in employment thanks to services like these. Among the people who have benefitted from United Way's job training and financial coaching are Julio Cepeda, whose computer training empowered him to manage his own small business; Liz Cintron, who learned how to save money when she was still in high school and was able to attend college at Georgetown University; and Nancy Reyes, who got the advice she needed to avoid foreclosure and stay in her home. Nearly 10 million people are currently looking for jobs in the United States. That's why United Way works with academic institutions, employers, government and other nonprofits to make sure people have a clear path from school to in-demand jobs that pay a living wage. In Brazil, United Way recruits volunteers from the private sector to lead training courses for youth aged 15-21, in areas ranging from financial education to development of entrepreneurial skills, marketing, accounting, English and more. More than 500 youth will have participated in these training courses. One of the most successful aspects of the initiative was led by 41 volunteers from DuPont, who facilitated 13 training modules in the first semester of 2014, covering subjects such as business planning, customer service and finance. More than 90 percent of the young participants said the DuPont-administered training modules contributed to their professional development. Every year, the Global Youth Wellbeing Index gives regional scores across six domains of youths' lives, including citizen participation, economic opportunity, education, health, information and communications technology, and safety and security. According to the most recent index, “Of the nearly 70% of the world’s youth represented in the Index, 85% were found to be living in countries with below average or low levels of composite wellbeing.” That’s why United Way employs a comprehensive strategy that spans education, financial stability and health—only by addressing all three issues can we create lasting positive change. In Chittenden, Vermont, United Way leads an employer collaborative called Working Bridges that aims to increase job retention and decrease absenteeism. What they found was that many good employees miss work or are distracted on the job because of non-work related issues such as financial emergencies to childcare and lack of access to health services. United Way is working with employers to address these issues with a wide range of strategies, including an employer-based loan/savings program (with a 95 percent repayment rate to date), on-site GED, ELL and financial literacy classes, free tax preparation assistance at the workplace and more. So far, 75 percent of the core employer participants report improvements in one or more areas such as retention, attendance and productivity. Keeping these good employees on the job keeps hiring and training costs low for employers and productivity high—results that benefit business, the individuals who work for these employers and the community. United Way partners with more than 70,000 companies worldwide, including more than 280 Fortune 500 companies. Our strong relationships within the private sector support large-scale efforts in job training and financial wellness—as well as education and health.